Smart homes are becoming the norm with new technology being developed and improved for better security. However, there are still plenty of people who are hesitant to embrace this trend because they don’t understand it. Learn how your smartphone can help secure your home whether you’re there or away. You can find apps online to enable your smartphone to check in on your home. They can be hooked into your security cameras so you can see what’s happening at any time. You can find out what people are doing and who is in the house. This is a great option for people who hire babysitters or for those with teenagers. If your smartphone is connected to your home’s systems, you can set it up to send you alerts when something needs your attention. For instance, it can send an alert that you forgot to lock your door or you left a light on. You can get these alerts in a text message or with a photo or video. Many times, these alerts will help you prevent something bad from happening. With these smart systems, you can not only be informed but your entire family can stay in the loop. 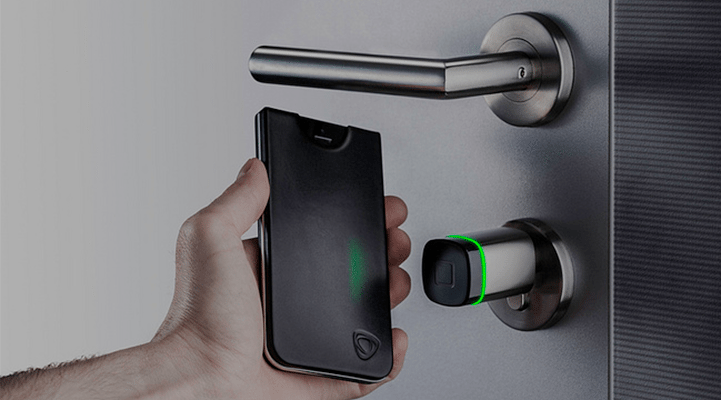 Many security systems allow you to connect multiple phones. This way, you aren’t the only one who finds out the front door was left unlocked. Everyone gets a notification and the person closest to home or with a flexible schedule can take care of the problem. One of the best benefits of connecting your phone to your home is so you can manage it even when you’re away. As in the case of the forgotten unlocked door, you can automatically lock it from your phone instead of taking time out of your schedule to go home and secure it. These apps also enable you to turn on or off lights, shut off appliances and manage other tasks. In the past, a family going on vacation might ask a neighbor to check on their home. Having someone come over and turn on and off lights would give the impression the house was occupied and deter would-be thieves. With modern technology, your smartphone can do almost the same thing. Set it to turn on lights in the evenings and turn them off in the mornings. It can make other adjustments to appear as if someone is there even if your clear across the country. You can also check in to make sure nothing is going on. If you see suspicious activity, you can call a friend or the police to check it out. Connecting your smartphone to your home security system is a smart move. Whether you just have a security camera or an entire system in place, you can ensure your home is safe no matter where you are right now. Enjoy peace of mind while you’re out and when you return home.